Traditional sweets shop Funabashi-ya is famous for its kuzumochi sweets, which are mochi cakes made from fermented wheat starch. 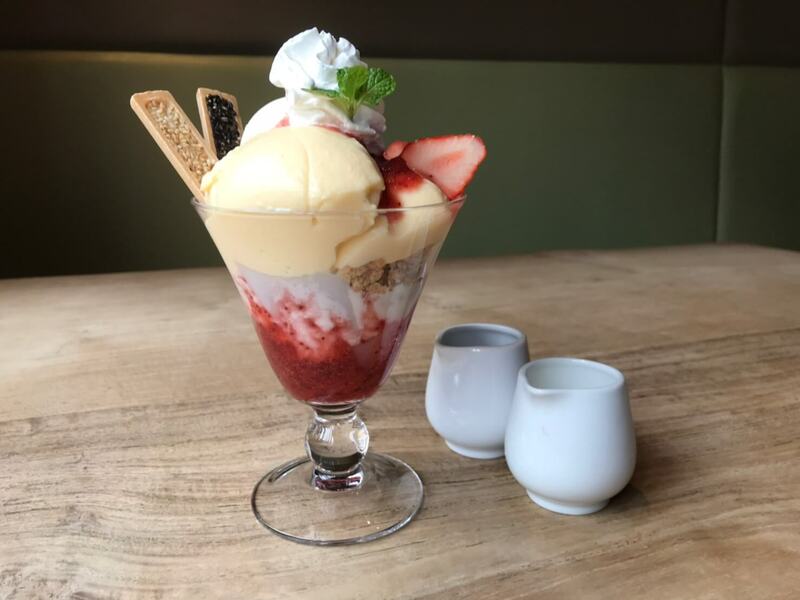 From Sunday 7th April to Friday 31st May, Funabashi-ya will be selling a parfait made from six varieties of fermented kuzumochi wheat starch and a kuzumochi milk crêpe filled with strawberry sauce. Five of these will be sold per day at the sister brand shop Funabashi-ya Koyomi Hiroo. 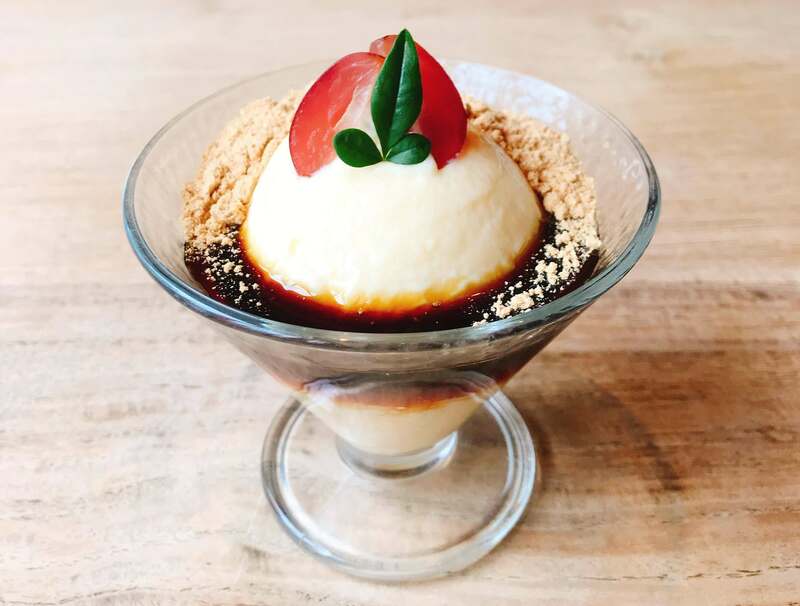 Kuzumochi, kuzumochi pudding, coconut, yoghurt, kuzumochi and strawberry sauce all packed into a parfait. This is topped with fromage blanc to complete the six variety kuzumochi parfait. Not only is this gentle on your health, but it looks luxurious. You will never get bored of these flavours. If you want, you can also top the dessert with some chocolate sauce. The rectangular sakuri topping for the kuzumochi and kuzumochi pudding are unique to Funabashi-ya and Funabashi-ya Koyomi! The wheat starch used for the Kuzumochi is fermented for 450 days and then steamed Kanto-style, giving it its unique and special chewy texture. The Kuzumochi pudding is the signature piece for Funabashi-ya’s sister brand Funabashi-ya Koyomi, which was founded 200 years ago. The wheat starch used for this pudding is mixed with the other key ingredients after being left to ferment for 450 days. Bit by bit, it is steamed very carefully. 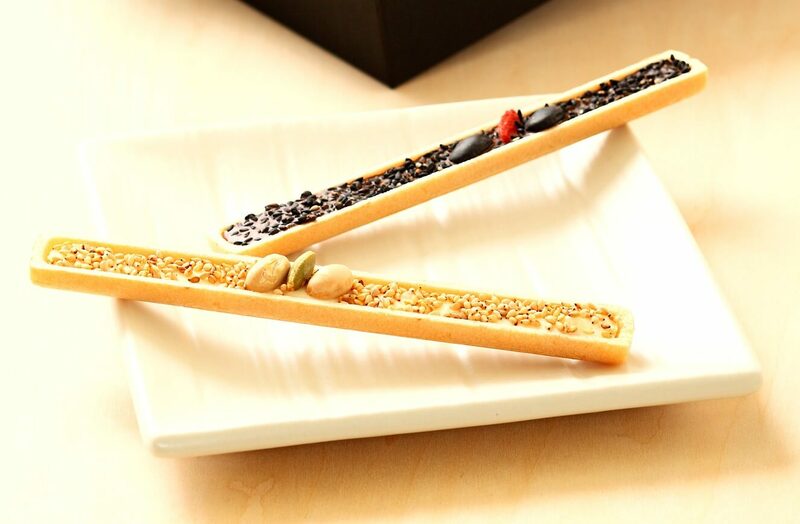 Once the crunchy texture of the Sakuri hits you, you will immediately be taken over by the soft chocolate, which contrasts the snappy sesame seeds. This fun range of textures is an original Funabashi-ya Koyomi sweet treat. The cream of the milk crêpe is kneaded with kuzumochi strawberry cream. 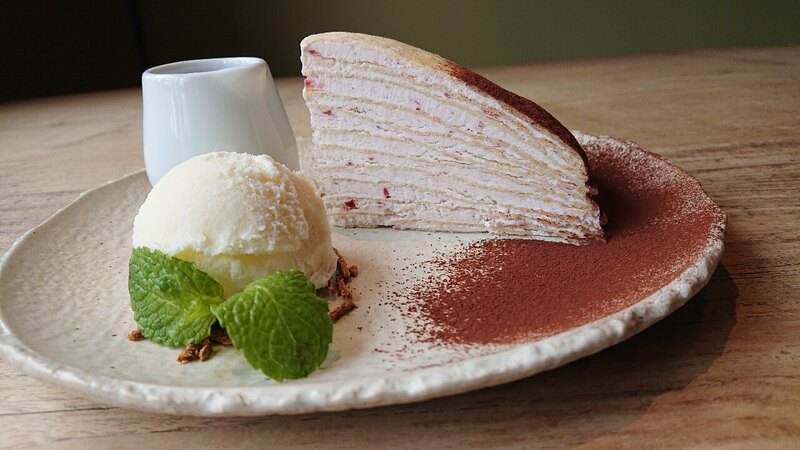 The 12 layers of milk crêpe is sprinkled with vanilla ice cream and cocoa powder to balance the flavours. The fermented wheat starch goes perfectly with the mild and sweet flavours! 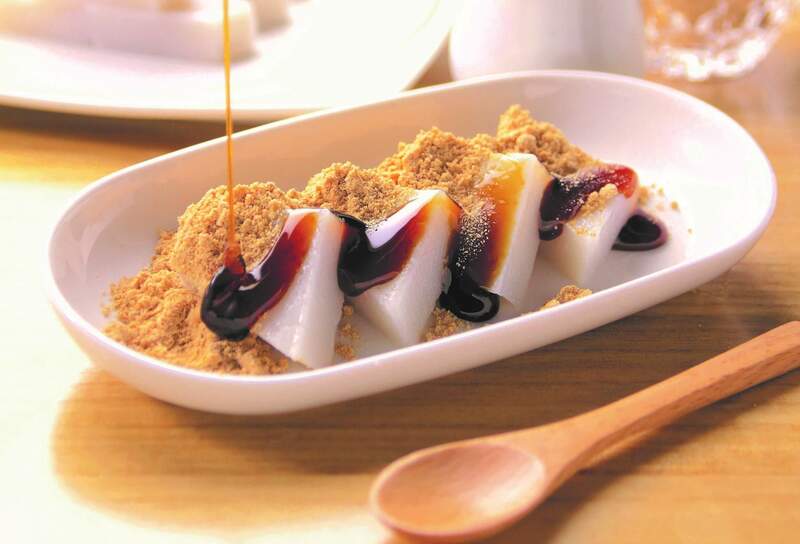 Come enjoy Funabashi-ya’s kuzumochi sweets in a brand new form!